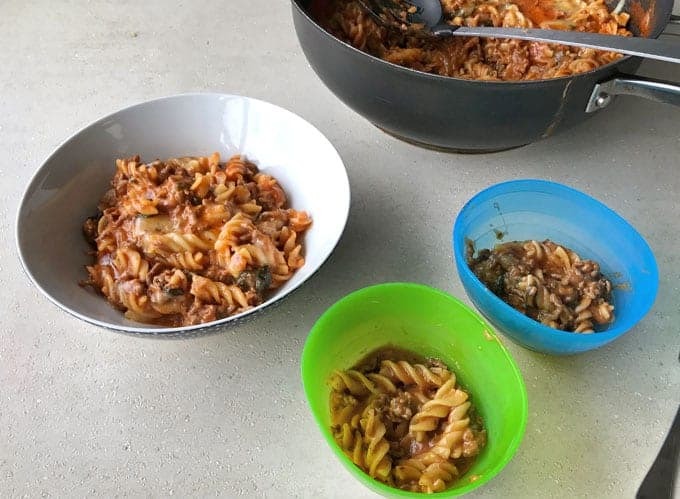 This delicious one pot mince and pasta dish is so easy to make and is sure to be one of your family favourites. 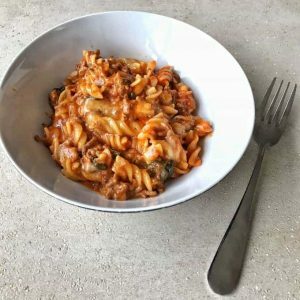 I love one pot meals and this one pot mince and pasta is a midweek meal go-to. 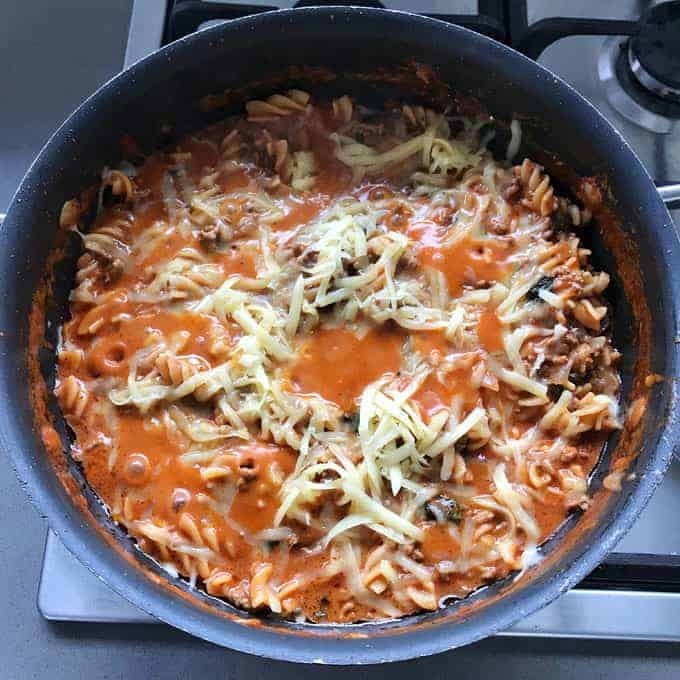 The great this about it is the pasta cooks in the sauce with the mince, which makes it packed with flavour. I used pasta spirals in my recipe but most dried pasta would work, you may just need to adapt your cooking time and cook until the pasta is al dente. 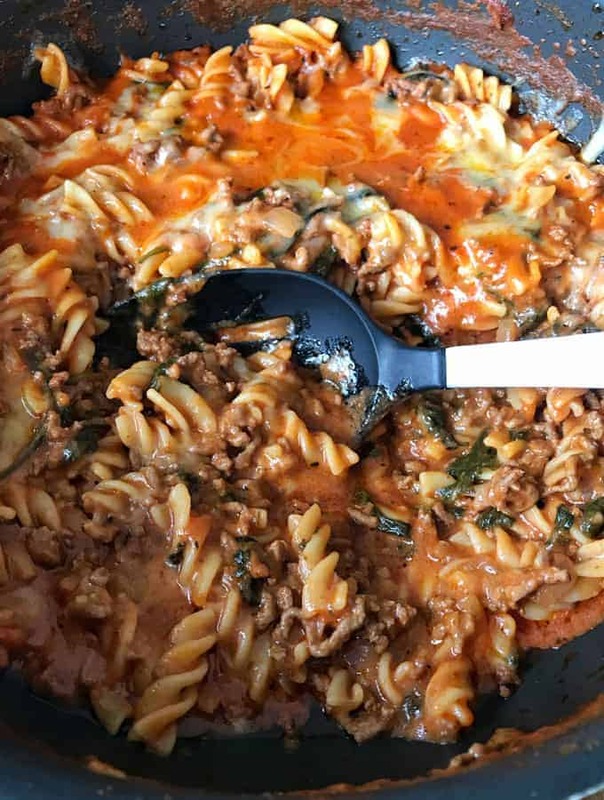 This meal is based on an American dinner called Hamburger Helper, so I gave the recipe a NZ twist. 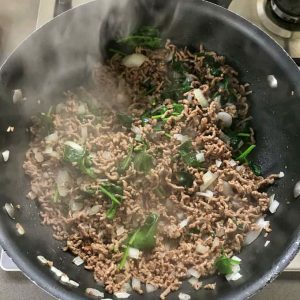 To start off you brown the mince in a large frypan then add the onion and spinach. Then add all of the delicious flavour from tomatoes, Italian herbs and fresh garlic. You can use beef stock from a carton for this recipe or you can make it from oxo cubes like I have. Once the pasta is cooked through scatter over grated cheese and let it melt on top of the mince. 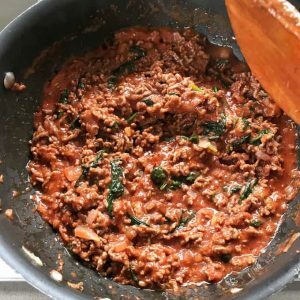 My young boys both love this meal and my husband does too, just adjust the amount of chilli flakes according to who is eating it. 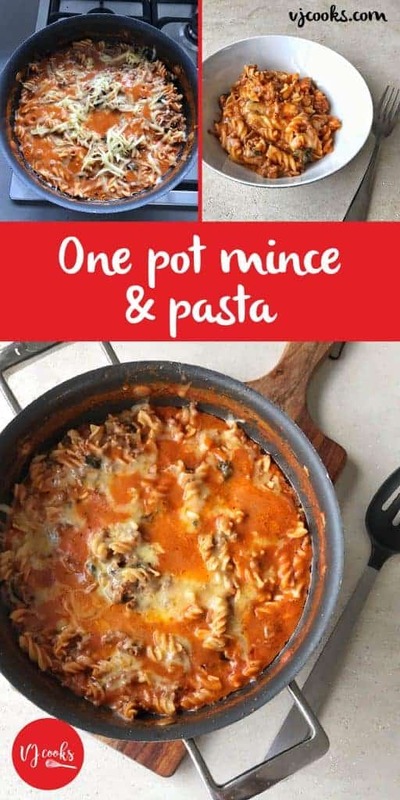 This makes such a large pot of mince and pasta that it is great to have as leftovers the next day. I love having portions in the fridge on-hand to heat up in the microwave for lunch. Heat oil in a large frypan and brown the mince, add red onion and spinach then cook until the onion has softened. 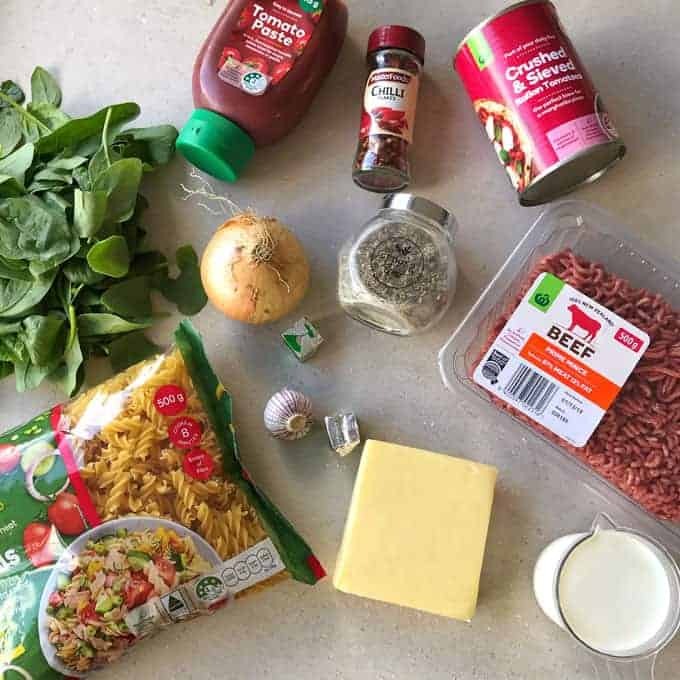 Add garlic, italian herbs, chilli flakes, tomato paste and canned tomatoes then mix well with mince. Pour in stock, milk and pasta then stir to combine. Bring to a boil and reduce heat to medium, keep stiring every few minutes until liquid has absorbed and pasta is cooked al dente. 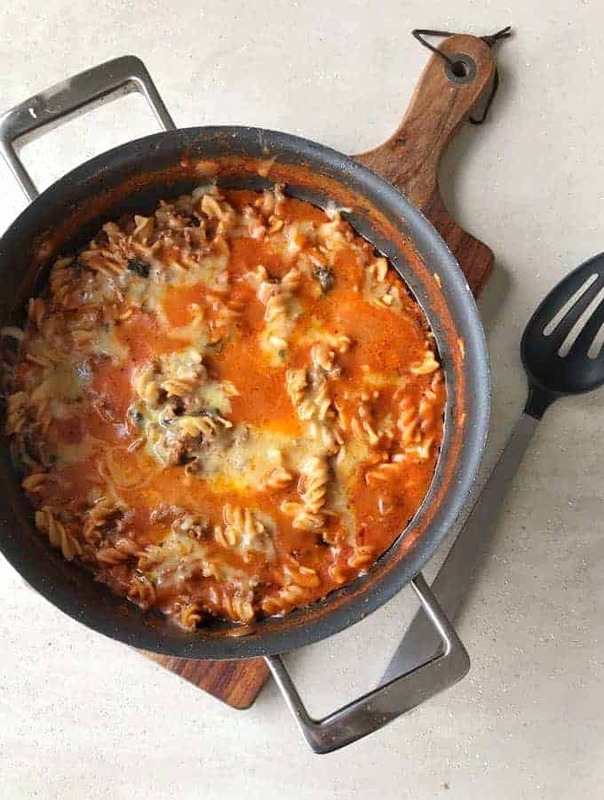 Scatter over cheese and let it melt on top of the mince, serve immediately. 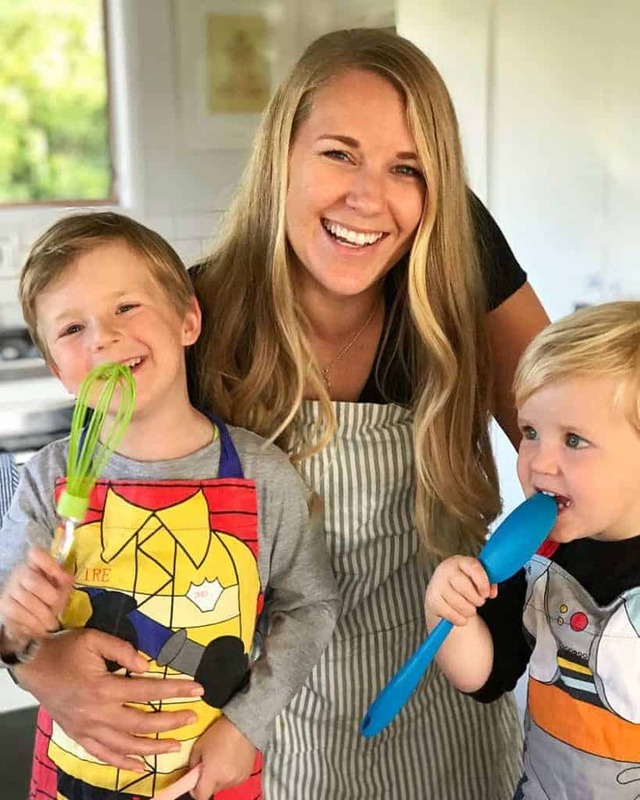 Serve your delicious pasta with a fresh salad and crusty garlic bread.